Want to create a website or blog, but not sure which platform is best for you? In this article, we’ll compare Squarespace Vs WordPress to enable you to pick the right platform for you. We’ll compare getting started, pricing, design and customization options, and review the features offered by each platform. Squarespace and WordPress are both Content Management Systems (or CMSs), that allow users to easily publish content online without needing to know web design or development. Whether you want to start a blog, create a business website, or launch an online store, we’ll give you the tools to help you make an informed decision on which platform will best suit your needs. So let’s get to it, and compare Squarespace Vs WordPress. Differences between Squarespace Vs WordPress? When is Squarespace a better option than WordPress? When is WordPress a better option than Squarespace? Squarespace is a for-profit Software as a Service (or SaaS) company based in New York City. To use their service, you’ll need to purchase a monthly subscription that will give you access to the web building platform online via your browser, as you would any other site. Everything you use to build your site is made by the Squarespace team of developers, and no outside ‘stuff’ is allowed. Hosting and other resources needed to keep your site online, is all taken care of by them. The pro’s and con’s of this approach will become clearer as we go through the considerations and differences. Our regular readers should have a firm grasp on WordPress already. For the benefit of our new visitors, WordPress is an open-source piece of software. This means that no one owns the framework, and as such, anyone is free to download, use, repurpose, and sell their creations as they see fit. While this gives you a tremendous amount of freedom and flexibility, it also comes with some responsibilities. We’ll explore the pro’s and con’s of this as we go through the analysis. What are the main differences between Squarespace Vs WordPress? As outlined above, the obvious difference between these two platforms is that one is owned by a company, and the other open-source. What this translates to is the amount of control the user has over design and functionality, as well as the aspects of the website or blog that the user is ultimately responsible for. To help illustrate this further, we’ll examine the process of getting started, pricing, design and customization options, and features for each platform. We’ll provide a summary towards the end of this article, and outline when Squarespace is a better option than WordPress, and vice-versa. Getting started with Squarespace is extremely easy. Unfortunately, there is no free subscription, but they do offer a free 14-day trial (no credit card needed). This lets you go through the complete setup process, and allows you to see exactly what you’re in for. Site content – This is the topic of your site like Fashion, travel, photography, etc. Site Goals – What do you want to achieve? Do you want high traffic, showcase your work, run a store, or collect donations? Bio – Just a simple description of your site. Some templates will highlight this. Site title – This is basically your site’s ‘name’. Once you have run through the setup process, you can immediately start editing your site through the simple drag and drop interface. There is almost no learning curve to climb! Any changes you make, you see in real time, and is exactly how your site will look once you publish it. Once you start editing a helpful video pops up showing you the basics of the drag and drop interface. 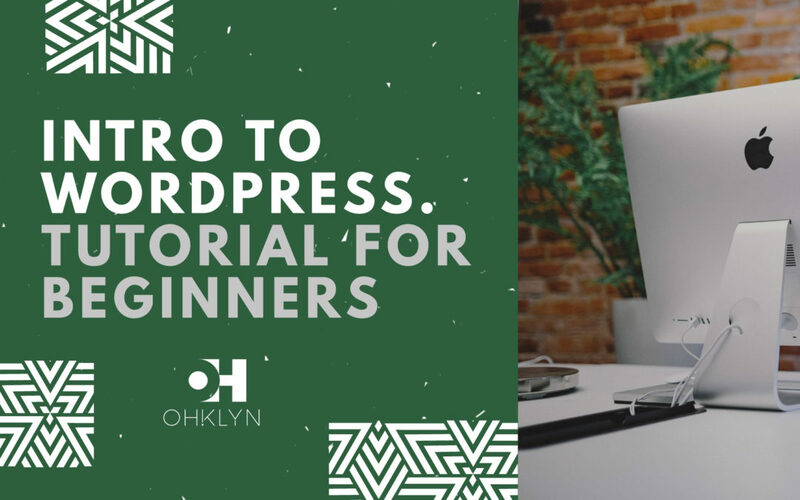 We have put together a number of free WordPress tutorials for beginners to help you through these steps. You can either install WordPress via your hosting provider’s one-click WordPress installation tool. Or if you’re a little more savvy, you can install WordPress manually on your domain, or in your local environment, by downloading the WordPress software from WordPress.org – downloads, and following the instructions in the readme.html file. The first round goes to Squarespace. There is no real learning curve, more of a settling in period. Unfortunately, Squarespace has no free subscription plan, however, all four of the paid subscription plans come with the tools and support you’ll need to be successful. Their plans can be divided into two categories: Websites and Online Stores. Note that all plans come with a free domain for a year if you haven’t already registered one. After that, you will need to purchase a domain from them on a yearly basis. As you can see, even with the most basic plan, you get a decent amount of features. There isn’t too much of a difference between these two, although the lower transaction fee and $100 Google AdWords Credit is a nice touch. As you can see with the business plans, they have some exceptional extra features that might seem like nice-to-haves, but quickly become essential for any serious store. Now you get metrics, accounting, and discounts. You can also get label printing, which helps with efficiency. In short, they provide the tools to create a better shopping experience for clients, enable sales tracking, and monitor user statistics. You don’t have to invest in the last four items above, however they may contribute to the success of your site. For a complete breakdown, read our How much does it cost to make a website with WordPress? article. This one completely depends on your website budget and objectives. If you head over to Squarespace you will immediately be greeted by an immaculately designed site. In fact, it’s very Apple-esk. It’s minimalist, stylish, and has smooth animations. Everything you would like to see in your own website. Squarespace is serious about design. Most of the other online blogging, or website creation platforms come nowhere near the design prowess of Squarespace. Yes, they still only have around 100 themes available but they are all beautiful, responsive, polished, and modern. Something very few others can equal, we won’t mention any names. The customization is also pretty extensive. Anything that you see on the theme can be altered to look just the way you want it. In a way, a theme is just a starting point from where you can build the site you want. The What you see is what you get (or WYSIWYG) editor is not the easiest one to master, but is probably one with the most powerful. WordPress has over 1,000 absolutely free themes available. For a theme to be listed in the WordPress theme repository, they are checked for quality and required to adhere to web development standards. With so much going on, however, it is not impossible for some bad apples to slip through. Also with these themes, you pretty much rely on the developer’s mercy for support. Premium themes solve many of these issues. There are a number of quality theme providers and online marketplaces where you can purchase a theme to meet almost any purpose. Many of which either meet, or exceed the design brilliance of Squarespace. There is no official head count, but you can be sure that there are thousands upon thousands of themes out there. They range vastly in quality and function, but you will definitely find exactly what you need if you look around. WordPress’s WYSIWYG editor is also just as capable and empowering, allowing you to start customizing your website or blog with little experience or skill. WordPress scores a slight win. Yes, there are so many more themes available but no all are of the highest standard, whereas you are guaranteed consistency from Squarespace. Squarespace has no free plan, but they have made the effort to provide enough high-quality features to make any plan worth your money. Up until recently, Squarespace was very restrictive, especially when it came to eCommerce. Allowing only one payment method and very limited products, however they have now made everything unlimited. Squarespace is a closed system and only plugins or widgets contained in their themes, or provided by them are available. You can’t use 3rd party plugins or software. This means you are completely dependant on them for new features. However, you are also guaranteed that all features will be of a high standard, and compatible with your site. Hosting, and domain (renewal every year). A complete WYSIWYG editor.Unlimited products. You can refer to the pricing images above for a full list of features. The most important thing to know, is that everything is made by Squarespace, and they have a real focus on quality over quantity. While the world isn’t your oyster, every feature is a flawless pearl. WordPress’s biggest strength and weakness is that it’s open-source. With a massive community of active contributors creating themes, plugins, and features, the sky is the limit, in terms of what you can do. It also means a lot of badly made software makes its way online, so you will need to be mindful of what you use. Depending on which theme and plugins you use, the functionality and features of your WordPress theme will vary. However, with well over 50,000+ plugins available in the WordPress plugin repository, plus those available for sale by individual providers and marketplaces, there are very few things you won’t be able to do. This one can’t really go any other way. WordPress is the king when it comes to functionality, flexibility, and features. As you can see these two platforms are completely different in the way they approach solving the same problem. WordPress can be summarised by flexibility, control, and added responsibility. Squarespace can be summarised by design, service, and restriction. We hope you walk away from this comparison with a deeper knowledge of these two platforms, and a clearer picture of which one is right for you. You don’t have any experience with web development and don’t have the time to learn. You don’t have the money to invest in a developer or expensive support services. You have a clear goal of what your site will be. You have some technical know-how, or are comfortable following step by step instructions. You have a small budget to use right away for premium themes, plugins, or courses. You need, or want as broad a horizon as possible when it comes to future features and extensions.